On behalf of Bellingham Film, it is with great pleasure to invite you to our bi-monthly Film Mixers from 6:00PM to 9:00PM. This event of filmmakers, actors, writers, crew members and local business is an opportunity for discussion of the future of commercial media in Bellingham. At each mixer we hold a presentation from an industry professional to share their experience and expertise. Keep an Eye out for our Mixers with Washington FilmWorks. They generally include the mandatory Innovation Lab Info Session along with a Film in WA Update. We encourage discussions on the advantages of a multimedia campaign and the increasing affordability of video advertising. 1. 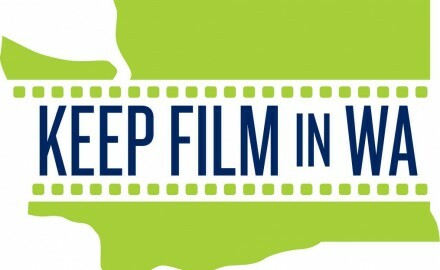 Submit your favorite film project including commercials to the Bellingham Film Annual Showcase. ​2. Donate a product or service to our raffles. 3. Rent a table and display your products and services. 4. Become a sponsor and get exposure on our website, social media, newsletter and at our event. Bellingham Film hosts bi-monthly film mixers. At every Mixer we will have a guest speaker that will speak on a variety of core film subjects. Join us for our next Mixer. Visit our Event page for Mixer details. Do you have something you want to share with other filmmakers? Rent a table to display your work or your business. Tables are only $10.00. Please make sure to bring extra power cords if your display needs to be plugged into power. The monthly Happy Hour is a meet up for leaders in film, music, and interactive industries to share, learn and make meaningful business connections. In addition to bringing people together, each month we host a special 30-minute presentation from guest speakers who give unique insight into the creative and technological innovations directly affecting your industry.